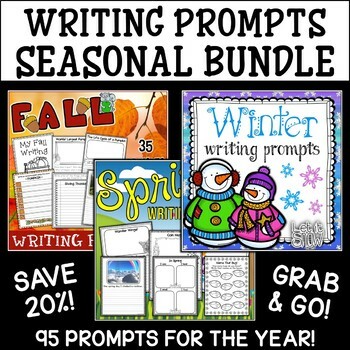 This Seasonal Writing Prompts Bundle contains a total of 95 prompts for use throughout the year. 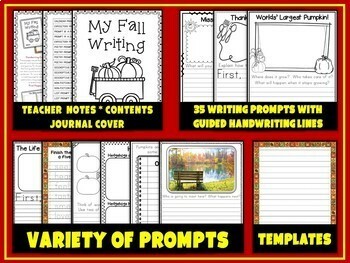 The writing prompts are open-ended and can be used for a daily response journal or more structured and guided journal writing, after class/small group discussion or research. 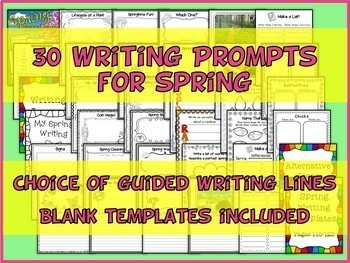 The prompts are designed to cover all the writing styles, although the majority content is narrative writing. 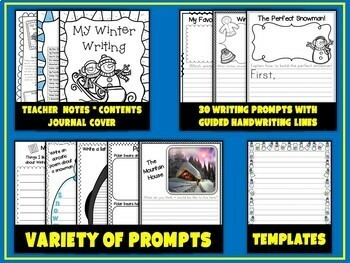 The prompts are listed below. PROMPT 9: World’s Largest Pumpkin! PROMPT 17: A Day in the Life of….. PROMPT 24: Name That Bug!